Painting, Sunspot, James Nasmyth, 1860. Oil, lampblack and distemper on paper, irregular corners at bottom, 42x45.5cm, backed with Holland linen to edge 43.5x47cm. Scaled: 10000 [over c10inches/25cm ruled]. 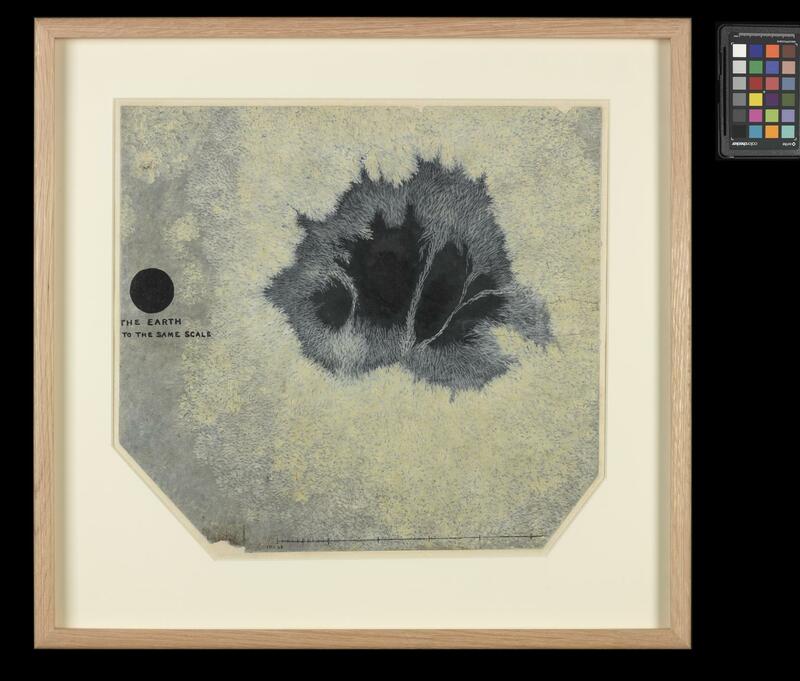 Sunspot viewed by James Nasmyth through his telescope at Penshurst, and painted with photographic accuracy to show the willowleaf granulation and lightbridge features. Solar willow-leaves, or, an account of the great Spot in the sun, as observed by Mr Nasmyth, in July, 1860. 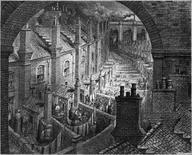 With an illustration from a drawing by Mr. Nasmyth/Josiah Crampton. To left: black disc annotated 'The Earth' to the same scale. James Nasmyth (18080-1890) was a Scotish enginner who built shaping machines invented the first steam hammer, retired to Kent and pursued his interest in astronomy, which included charting sunspots. 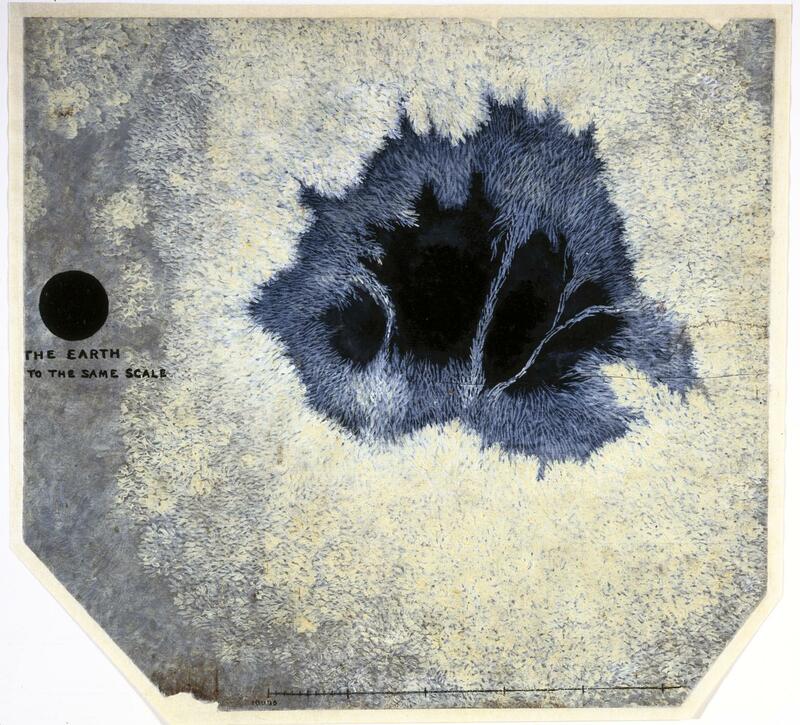 Black and white painting made by James Nasmyth (1808-1890), in oil distemper and lampblack, showing the size of a sunspot against that of the Earth. Working from sketches made directly at his telescope, he used his considerable artistic skill to produce this 1860 portrayal of the Sun. Nasmyth a successful industrialist and engineer, made extensive solar observations after he retired from business in Manchester and moved to a new home near Hawkshurst in Kent, England. 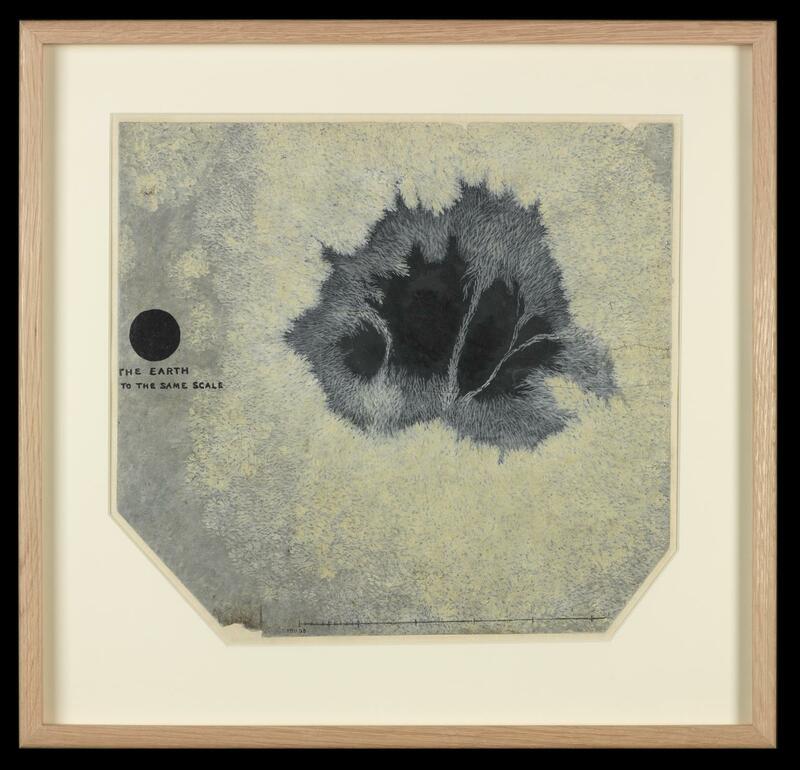 Through his observations Nasmyth discovered fine scale solar features, which he called 'willow-leaf-shaped objects', a detail that is clearly evident in this painting. Difficult to view, their existence was disputed for many years; these features are now known as solar granulation.